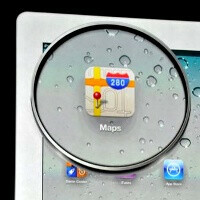 Apple’s new iPad is here! 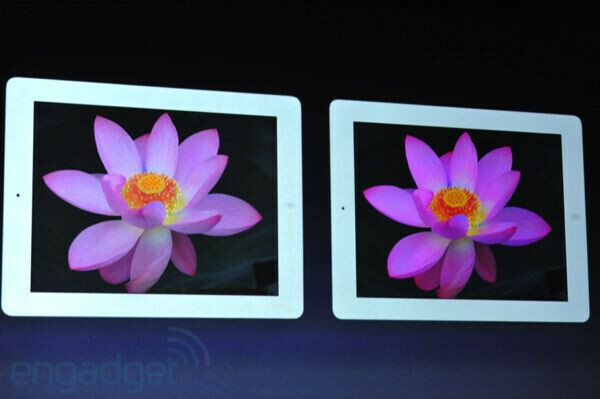 And probably the biggest highlight of Apple’s third tablet is the mind-blowing high-res Retina display. The new iPad delivers crystal clear images. CEO Tim Cook actually said the tablet has a better resolution than the presentation screen behind him, and it has more pixels than an HD TV. It’s not a surprise, but it’s somewhat of a relief to see such an amazingly detailed display has indeed arrived on the iPad. Are you impressed? Not an Apple fan, but definitely impressed. I hope droid tabs with this kind of pixel density will come out soon. Truly a highDEF experience. Ya, but I don't think they're talking about the CPU, I think it's just with the graphics. It's a duo core with quad core processing Graphics. HD is HD so even if it has a billion more pixels then the human eye can account for it is still comparable to an HD television set. That said if it was super AMOLED HD then I be very impress because of the saturation level of colors and the Trure Black levels. This is indeed good news but again in my opinion a HD RGB matrix Super AMOLED screen would be very impressive. They increased the screen resolution because they felt that their retina display is inferior now to super amoled plus display of samsung which recieving a higher momentum in screen technology. Every reviews of galaxy phones (s s2 & note) and galaxy tab 7.7, the screen display always recieved a good impresssion and always the first thing to be recognized. Hats off to Apple for this. I can't stand em, but I always give credit where it's due. Samsung had a chance to put their best into a tablet and offer a true high tech to android at MWC but they dropped the ball monumentally. If they expect from Galaxy pad 2 to compete with iPad HD, they deserve to be squashed by this school example of crafting a product with a single BANG feature, and presenting it to people. what happened to 300ppi + being "retina"? Normally, people hold tablets farther away from their eyes than their phones. I can attest to that. I definitely hold my tablet (Eee Pad Transformer) farther away from my eyes than my phone (Desire Z). being retina display does not depend only on the ppi. it also depends on the viewing distance. using the formula a = 2tan-1(h/2d) at 15 inches away qualifies for a retina display. the eyes cannot discern the pixels at the distance, which is the essence of Retina Display. It's relevant to the size of the screen and how far people hold it from their faces. Why do they have to compare it with their own product(ipad 2), dont they know that they are downgrading ipad 2.